A sermon preached at St. Andrew's On-the-Sound Episcopal Church in Wilmington, NC on July 21, 2013. The texts were Amos 8:1-12 and Luke 10:38-42. Given recent events, it’s difficult to watch the news, or grab the paper, or follow someone’s Facebook stream or Twitter feed and not get caught up in the passionate yet confused conversation about justice in America. It’s difficult, almost impossible not to. The confusion and the anger many are feeling is palpable. The intensity of the competing emotions of hurt for some and triumph for others can almost be tasted, an inescapable reality for those of us living in this divided and fallen world. Old wounds that never really healed have new salt put on them, and memories of old injustices from the past influence the question of “What is just or unjust” in the present today. It’s good that our country is having a passionate conversation, for nothing is worthy of our passion if justice isn’t found worthy. But it’s also confused, filled with uncertainty, filled with anger, for it’s a conversation being had by all types of people, people united by nothing else than perhaps our brokenness. 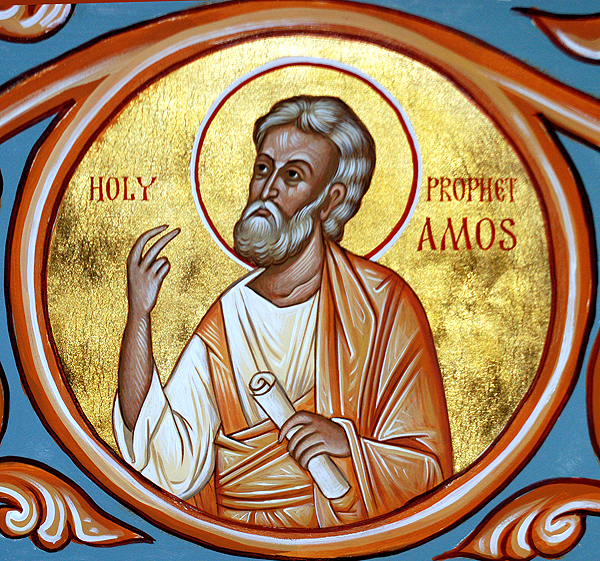 The prophet Amos offers something of a beginning point for us. At the time of the prophet’s writing, Ancient Israel was a society bitterly divided. Various classes of people, some more fortunate and some less fortunate, lived in crippling tension with one another. Amos, a farmer, saw the bitter division and, being inspired by the LORD, spoke out against the injustice that he perceived. The oracle from our lesson today is the final oracle the LORD spoke against Israel, pronouncing summary judgment: “The end has come upon my people Israel; I will never again pass them by.” But why? Why has the LORD pronounced such judgment on Israel? Because of the many sins of the people that kept them divided, oppressed, and broken: “Hear this, you that trample on the needy, and bring ruin to the poor of the land, saying, ‘When will the new moon be over so that we may sell grain; and the Sabbath, so that we may offer wheat for sale’?’ In short, Israel had lost her moral compass. Once a people claimed and set free by the LORD, commanded to rest and worship on the Sabbath, Israel now was a place where the Sabbath was scorned as their brokenness compelled them to seek financial gain over righteous living. They had become a people content with a fractured society, where feasts for the rich occurred while the hungry went unfed and the sick went unaided. And so the LORD declared a famine on the land. But this wasn’t a famine of food or water, but of famine of hearing the LORD’s voice: “The time is surely coming, says the LORD GOD, when I will send a famine on the land; not a famine of bread, or a thirst for water, but of hearing the words of the LORD. They shall wander from sea to sea, and from north to east; they shall run to and fro seeking the word of the LORD, but they shall not find it.” It’s easy to see why Amos was a hated man in the land, sent away from the court of Jeroboam. His words were both confrontational and revelatory. Given the LORD’s track record in the Hebrew Scriptures, perhaps we expect the LORD’s judgment to be found in the midst of smoldering flames or waves of war-hungry warriors. But in this instance, the judgment is, at first glance, less severe. But perhaps it is more dangerous and life threatening in the long run. The people of God simply can’t survive without hearing the LORD’s voice, without receiving the LORD’s direction. The people of God can’t thrive, they can’t proclaim the life-saving truths of Israel’s God. Without hearing the LORD’s voice, the people become aimless, drifting upon an ocean of their own injustices, failures, and human brokenness. A famine of words for broken and aimless people. 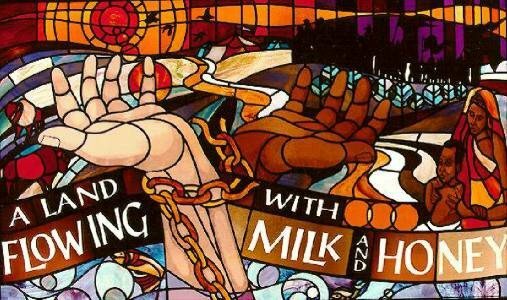 Amos points us towards something, towards the long march to freedom from brokenness and injustice, but it’s never enough just to glimpse the starting line. We’ve got to take a first step. And Jesus’ words in the Gospel offer us a chance to take the first step. This interaction between Mary, Martha and Jesus is, on one level, fairly straightforward. Jesus, the houseguest, arrives after a long walk. A Middle Eastern hospitality code demanded that the homeowners prepare a comfortable place of rest and a fresh meal. And so Martha dutifully prepared a place for Jesus as she thought it best to do. But Mary decided that there was something else for her to do. Abandoning the kitchen, abandoning fluffing the pillows and folding the sheets, Mary went straight for Jesus and sat at his feet, listening to what he had to say. But in Mary’s act of listening, we catch a glimpse of something of the way forward for this hurting, fractured, and divided world. We are living in a time where action/reaction is in full swing. The instantaneous access to breaking news and courtroom verdicts affords us the opportunity to respond with just a moment’s notice. And though I’m not advocating for slow responses to traumatic situations, this Gospel flies in the face of humanity’s almost innate response of impetuous reactivity. As a people, we are so quick to divide even as we are speaking the desire to unite, to move beyond division. How quick we are to vilify the stranger, the Other, the one who we don’t understand or don’t agree with. In our Gospel, this impulse to blame and vilify is as present then as it is today: “Lord, do you not care that my sister has left me to do all the work by myself? Tell her then to help me.” Martha’s frustration with her sister’s behavior leads her to descend into name-calling and shaming. And this behavior we are bearing witness to this very day, across our country, on all sides of the divisions we live with: divisions of class, race, gender, political persuasion. And given the intensity of emotions brought on by this recent verdict, we are living once again in a cauldron of confusion, division, and frustration. And a cauldron it certainly is. The pain and anger felt on all sides is raging, threatening to tear at what remains of an already tattered unity. Jesus’ words to Martha are not just words suggesting that it’s good for people to take a bit of rest every now and then. Jesus’ words to Martha are in fact prophetic. Mary has chosen the better part because she sat down her tools, her worries, set aside her assumptions, and placed herself at the feet of Jesus ready to hear the Gospel spoken to her. It’s about active listening, not passive rest. So, for those of us living in this cauldron, what do Jesus’ words speak to us in the present, not just as individuals needing ‘rest’, but as a people who, like Martha, are sometimes willing to demonize those we take issue with, ultimately missing the opportunity to acquire true discernment as we listen to the gentle, yet revolutionary, words of Jesus? We are constantly revealed to be a species, a human species, suffering from a famine of discernment, justice, and reconciliation. But this could be our moment, today, beginning right here in this place. The Gospel of liberation doesn’t come to us as a mere spectacle, something to be observed, but as something sharper than a double edged sword that cuts right to the heart of the world’s ills. 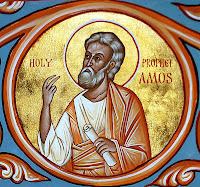 The Gospel has come to us in the words of Amos, reminding us that we cannot hear the LORD’s voice if indeed we are not a people who desire true justice and reconciliation for all people, between all people. If we are not a people who desire to bind the sores of the wounded and set the captives free, as Jesus declared his mission to be while in the synagogue at his very first preaching moment. Jesus’ words to Martha, as simple as they may seem, remind us that we cannot truly discern what the LORD is saying if we aren’t willing to set aside our assumptions, judgments, and shame and sit at the LORD’s feet together, allowing his truth to wash over us all as a people united no longer by our brokenness but our redemption. In this very room I see Christ in you, the hope of glory. I see a people gathered to worship together, gathered to be fed at the same table, gathered to be sent out into the world, rejoicing in the power of the Spirit. I see a people who have the power to “complete what is lacking in Christ’s afflictions” and “to make the word of God fully known” and to “teach everyone in all wisdom.” Now is not the time to judge, or to vilify, or to blame. Now is the time to sit together at the feet of Jesus, setting aside distractions and anxieties, judgments and shame. To sit with those with whom we disagree, those with whom we will never agree, but those with whom we are united both in our human brokenness and our divine redemption. Where in this very community, in your circle of friends, your places of employment…your schools and sports teams…where in all of these places is God calling you to be a minister of reconciliation? My friends, sit, listen, pray, worship, work, that the world might see that reconciliation is truly possible.